Can You Use Your Smartphone to Work Effectively? You’d be hard-pressed to find a better productivity device than a smartphone, but the fact remains that while it’s a great tool to get more work done, its nature as a communication device makes it a prime target for wasting time. We’ll discuss some of the best ways your organization can take advantage of mobile technology while still remaining as productive as possible with it. 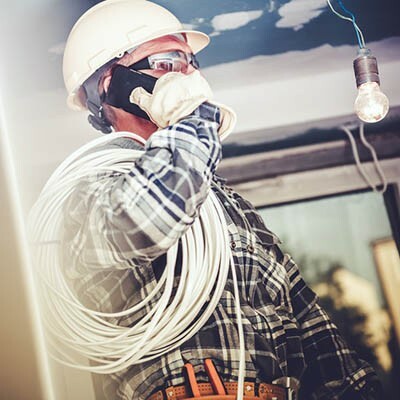 It helps to be able to make and take calls while you’re out of the office, but if the customer’s needs aren’t communicated well over the phone, how valuable is the solution? Some information might need to be addressed later on, making it more ideal to use a solution that can retain plenty of information for long periods of time. Thankfully, the smartphone is a dynamic solution that can handle an astonishing number of different tasks. It might not immediately seem like such a great tool for this purpose, but a smartphone is capable of doing much more than just voice. It can help provide users with information at a glance, whether it’s through an email or a text, or even access to a company’s drive. Small businesses take a lot of time and resources to manage properly, but this encompasses much more than just the act of “management.” Management demands that your business have collaboration solutions put in place so that your workforce can make progress on important initiatives. Resource management and project management solutions are designed to help your business better manage assets and time, allowing for more efficient use of the workday. Many of these solutions can be used from a smartphone, providing notifications and scheduling to help employees manage their time. Smartphones can be used as great learning tools, providing access to important materials and applications that can help you learn. Whether it’s just a short blog post or an entire how-to video on YouTube, a smartphone provides access to it. With podcasts, you can even consume information during times where you might not normally be able to, like during your commute. Even a small business needs a ton of organization to manage properly, and it has countless moving parts that all need to work together toward a common goal. Your smartphone can make this easier by providing access to calendars and other cloud-based technology, allowing for near-constant access to important information and files. Since a smartphone is a portable productivity tool that can be both a communication solution and a web-browsing device, it is an ideal choice for the business professional who wants to make the most of their assets while staying organized. A personal assistant might not be in everyone’s budget, but with the advent of new technology solutions like Google Assistant, Apple’s Siri, and Windows 10’s Cortana, you too can take advantage of one--even if it’s not what you had pictured initially. It’s a great way to manage both business and personal matters. A smartphone can be great for getting work done, but when you are constantly getting hit by notifications, it’s helpful to take a break from being constantly connected to everyone and everything. Thankfully, the average smartphone comes with a Do Not Disturb feature that can be used to keep your phone from blowing up with notifications all day. You can use this time to focus on specific tasks without being interrupted. While smartphones are important to your business’ success, your organization’s security can suffer as a result. 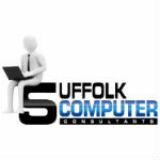 Suffolk Computer Consultants can equip your company with a mobile device management service that can help you monitor your organization’s Bring Your Own Device policy to ensure it’s not putting data at risk. To learn more, reach out to us at 631-905-9617.